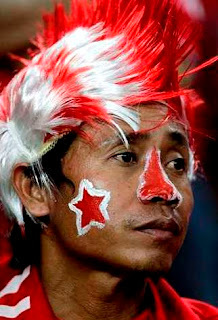 An Indonesian fan looks on after Malaysia beat Indonesia in the final of AFF Suzuki Cup 2010. Malaysia's Safee Sali celebrates with teammates after goal against Indonesia. 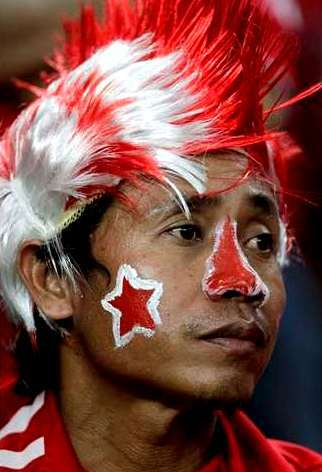 Malaysia's Mohammad Muslim Ahmad reacts after their win over Indonesia in the final. 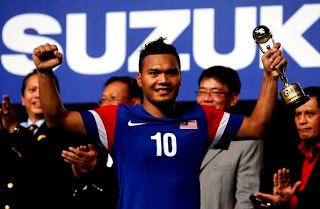 Malaysia's Safee Sali holds up the top scorer's trophy after AFF Suzuki Cup 2010.